Two goals from Romelu Lukaku and a late strike from Ashley Young secured three points for Manchester United that keeps them in the top four race. 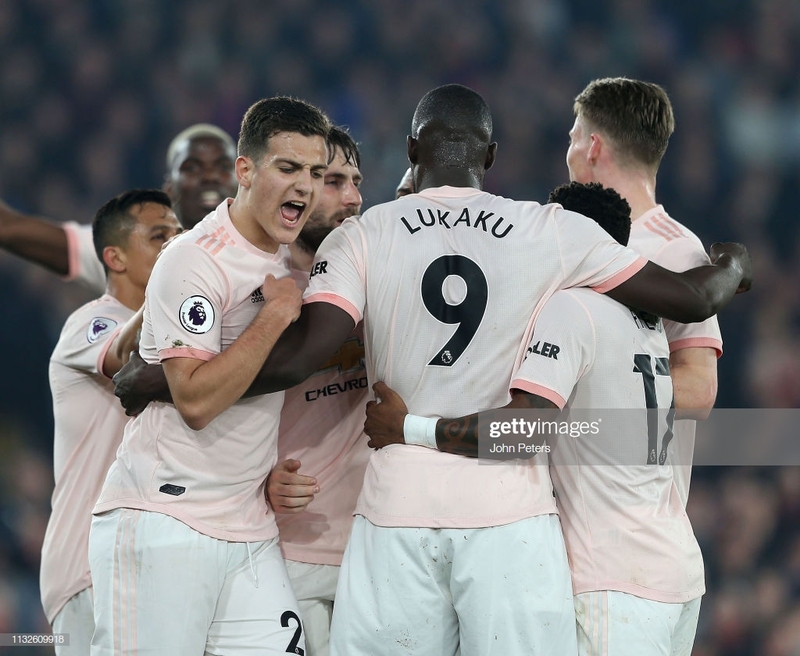 With eight first team injuries, Manchester United managed a crucial and impressive 3-1 victory at Crystal Palace on Wednesday night thanks to a Romelu Lukaku double. The Reds were forced to defend resolutely for the majority of the second half but still scored twice, either side of a Joel Ward header for Palace. Ashley Young scored in the 83rd-minute to seal the win for Man United, who have now won 12 of their last 15 matches and remain unbeaten domestically under interim manager Ole Gunnar Solskjaer. United remain in the top four race with the win, sitting fifth, one point behind Arsenal. Before Martin Atkinson ordered play to get underway, every one of United's starting eleven embraced the other 10 in the side. And a resolute team performance followed. Time is, of course, constant. But there are brief moments in football when the second hand seems to linger just a little bit longer. As Luke Shaw's early ball swung into the Crystal Palace penalty area from the left flank, time slowed enough to make Lukaku's miss all the more glaring. He found space. Shaw found the ball. But the only connection with Lukaku's leg was via the inside of his left boot, and the ball travelled over the bar with all inside Selhurst Park knowing United should have had an early lead. Townsend decelerated time at the other end. And he, too, saw a left-footed effort rise over the bar after a fantastic cutback. Smalling had left him unmarked. Townsend and Lukaku were both left gulping guiltily. It is the inconsistency of both which often proves the source of frustration. Lukaku misfires in crucial moments when he should score yet finishes chances he shouldn't. And that he did, three minutes after the half-hour mark, with a composed finish that had to be worked around the body of one defender and then squeezed into the bottom right corner. Luke Shaw had made the goal with an incisive dribble that can only be successfully made by a player brimming with confidence. The England left-back jinked to his left and to his right, four or five times in total. He moved past three defenders and flicked the ball to Lukaku, waiting on the edge of the area, at the perfect moment. The Belgian received, span and finished. He pointed to the sky. Wednesday night was a chance for fringe players like Fred or academy graduates such as Chong and Garner, but also for Lukaku. He took it emphatically, even if his initial contributions were weak. Solskjaer's United dominated possession, but it was their defenders, who had more of the ball (Lindelof: 8.6%, Smalling: 8.0%) than anyone else. Lindelof, in particular, urged those playing in front of him to push up the field. It wasn't until the half-time, when the Swede's Norweigan boss almost certainly reiterated that point, that the United players seemed to heed to those instructions. Before then, Andros Townsend delivered a typically accurate and well-weighted cross onto the head of Jeffrey Schlupp. The timing of the run and quality of the cross were superb, but the ball glanced off Schlupp's head and scurried away out of play. Palace threatened just like United did, but before they could re-acclimatise in the second half, United ruthlessly took them apart. Opportunities seeped out of the right flank for United. Dalot produced two stepovers before chopping the ball back. Pogba's newly-dyed blonde hair connected well with the fizzed delivery, but his effort rose over the bar. Soon after, time slowed again for Lukaku as he found himself unmarked in the penalty area with the ball at his feet. Equally as shocked as the 20,000 plus watching on in Croydon, Lukaku only mustered small poke of the ball that dribbled across the face of goal. But his second goal came quickly. A corner headed up towards the night sky by Smalling, then again by Pogba. Lukaku waited and let the ball bounce before meeting the ball five foot into the air and swinging home past Guiata for a brace. Palace's reaction showed why so many at Selhurst believe in this team no matter the scoreline under Hodgson. United couldn't build on their lead as the Eagles swept forward time after time. Selhurst Park remained quiet but the ground was soon to be vibrating to the beat of the Holmesdale End. Townsend and Zaha on either flank is a threatening prospect, and that threat emerged once Palace trailed by two. 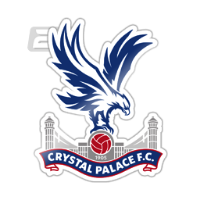 But it was Schlupp, pouncing on a loose ball on the left of the United area before crossing, and Ward, diving to head into a half empty net, who grabbed one back for the Eagles. Luka Milivojevic had a free-kick bend past the right post and many of the final 20 minutes were stomach churning for Manchester United. Solskjaer has faced a variety of challenges in his time thus far. The injuries pre-match were one, and managing a slender lead was another. Nerves settled when United's lead returned to two. Pogba, mastering the art of what the Argentine's call la pausa, waited on the ball on the edge of the box. He then delivered a simple pass into the path of captain Young who rifled a shot past Guiata to wrap the game up for United. As Young ran towards the travelling United fans, the back of shirt showed. A pale pink jersey with thick mud gripping to it. A sign of United's defensive effort. The game was shut down, comfortably enough for Solskjaer to bring on 17-year-old midfield talent Jimmy Garner, who has captained England at U17 level, for his debut, replacing an underpar Fred. Solskjaer impressed tactically once more. The Norweigan started with two right-backs. 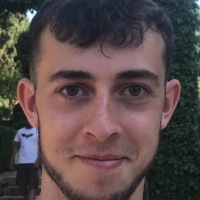 Ashley Young played in the defensive role while Diogo Dalot played on the wing, but help to keep Wilfried Zaha quieter than he may otherwise have been. He later brought Dalot off for Bailly to add more defensive solidity against Zaha with United under pressure. Young was pushed forward onto the wing and scored five minutes later. Wednesday night provided further evidence that Solskjaer's impact is not simply about motivation. An early miss brought fears of another infuriating display from the Belgian striker, but his two goals were both finished superbly, in very different ways. He has been poor this season and although he has not been the cause of United's problems, he had been a symptom of them, and one that has lingered while Solskjaer has removed the rest. He finally got back on the scoresheet on Wednesday and deserved his goals. He must continue to perform and will get chances due to United's injury crisis. Shaw was deemed the best player against Liverpool by many at the weekend. He was fantastic against at Selhurst Park. The Englishman created United's opening goal with a confident run and defended solidly against Andros Townsend. He's looking more balanced than ever.